Saint Luke's parishioners have collectively turned in over 500,000 pounds of paper to Southeast Recycled Fiber since 2007. That's 250 TONS! 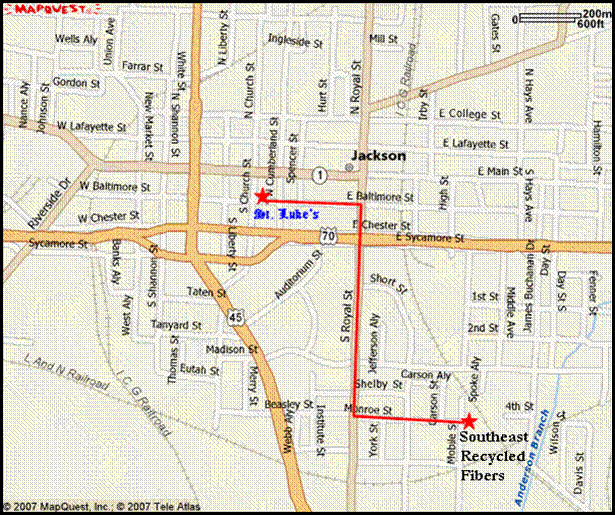 Southeast Recycled Fiber, L.L.C., at 532 Mobile St. accepts all grades of paper, including magazines, newspapers, magazines, junkmail, cardboard, paper grocery bags, or any other paper products. Just load up your car with your paper products and drive onto Southeast’s scales. Then the paper is unloaded and they re-weigh your car. It’s just that easy. Southeast Recycled Fibers is open from 7:30 a.m. to 4:00 p.m., Monday through Friday. 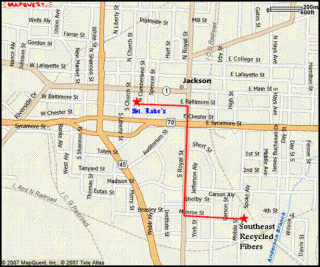 To get there from St. Luke's, drive south on Royal Street, turn left on Monroe, and drive onto Southeast’s scale. (Refer to the map at right.) Tell the attendant at the drive-up window that you want your paper donation to go to St. Luke’s account and St. Luke's is compensated for the paper at the current commodity price. Together, we reduce the trash going into the municipal landfill and raise funds for St. Luke's! Bring your paper to St. Luke's! On the last Sunday of each month, you can bring cardboard, books, 'junk' mail, or any other clean paper to the church. Dedicated volunteers will haul the collected paper to Southeast. 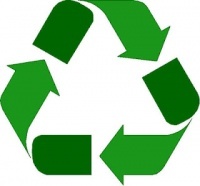 You may also bring small quantities of clean paper for recycling to the church weekdays, during office hours, 8:00 a.m. to 4:30 p.m. For more information, please contact the Parish Office: 731-424-0556.